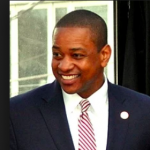 uncorroborated sexual assault allegation against Virginia Lt. Gov. allegations against Supreme Court Justice Brett Kavanaugh. accusation of sexual assault at the 2004 Democratic National Convention. encounter with the woman, but denied that he sexually assaulted her. flags” regarding the woman’s story, according to the paper. who could corroborate either version,” the Post reported. allegations,” wrote the Washington Examiner’s Becket Adams.